A honey bee (or honeybee) is any member of the genus Apis, primarily distinguished by the production and storage of honey and the construction of colonial nests from wax. The best known honey bee is the Western honey bee which has been domesticated for honey production and crop pollination. 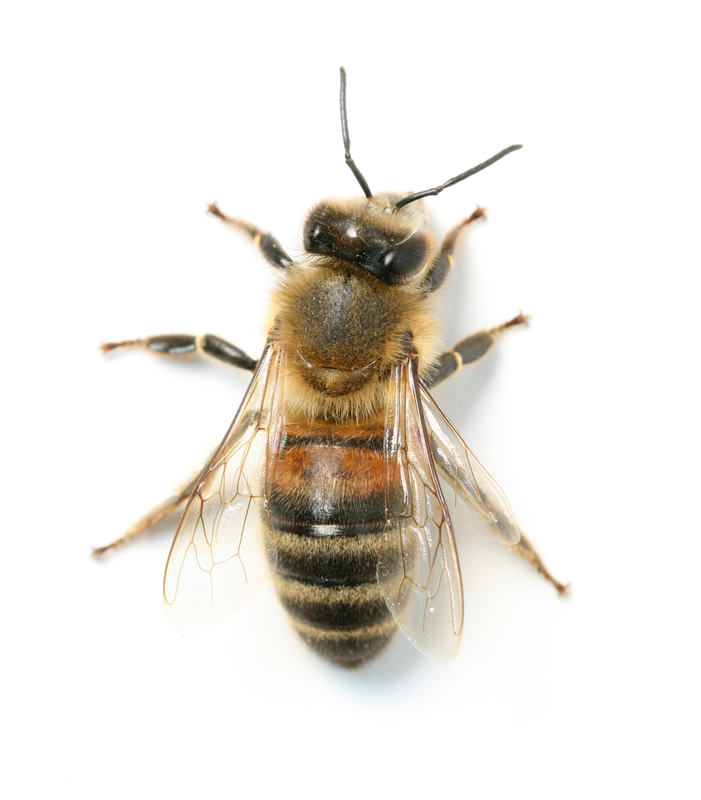 Honeybees are highly social insects whose enduring colonies build and occupy a common nest. The intact honeybee colony is a matriarchal family in which a relatively long-lived, mated queen lives with successive generations of her descendants. It is a family in which the queen has become specialized for the laying of eggs and the secretion of chemical substances which moderate the behavior of her offspring. Her female workers, on the other hand, remain unmated and are modified for the collection of nectar, pollen, water and propolis and for the secretion of wax. Some other types of related bees produce and store honey and have been kept by humans for that purpose, including the stingless honey bees, but only members of the genus Apis are true honey bees.